There are some sights that will take just an hour and there are some that takes a few hours to cover properly. 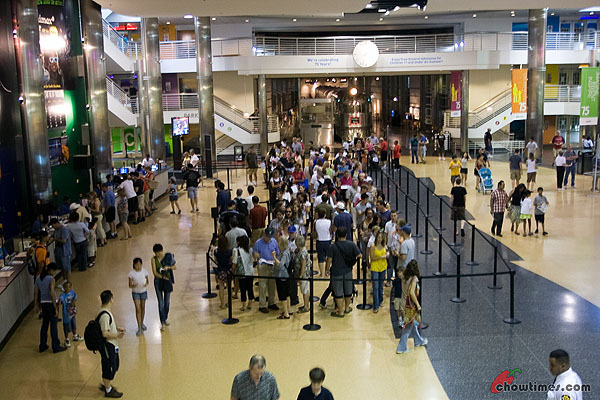 It is the big museums that is more time consuming. So I normally would put in one such long visits for each day. For the second day, I decided to take the long journey from downtown Chicago to the outskirts of Chicago. 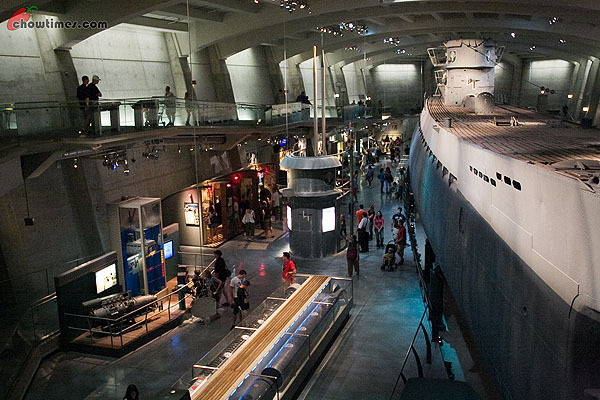 I remember taking a train ride heading south and then I had to stop at a station to hop onto a bus eastward to the Museum of Science and Industry. Along the train ride, I came across Chinatown. I wanted to get off and check it out but decided otherwise as I did not have much time. A lot of people got off the train at the Chinatown stop. And then the train was empty. I was outside the safe confines of Chicago downtown. Sorry to say this but I was really worried about my safety on the bus. I recall reading a hotel review around this area that the guests were mugged outside the hotel and that the hotel advises their guests to take a cab. And so when I got on the packed bus and as it traveled to its destination, I can see the not-so-pretty side of Chicago. I double checked to see if I got on the right bus, lest I end up in a place I don’t want to be in. [Chicagoans, please don’t hate me for saying these things but I really felt I was sticking out like a sore thumb on the bus]. And then an oasis of calm. 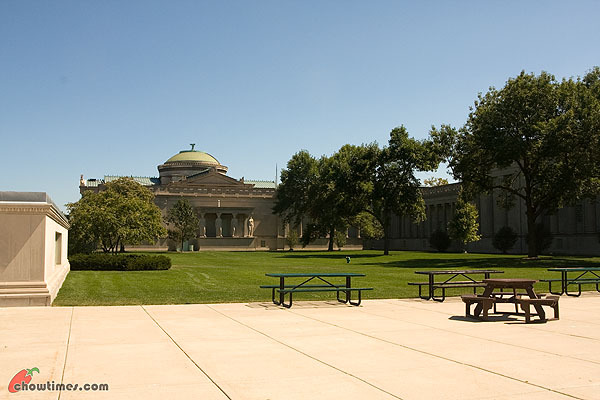 The Museum of Science and Industry is located in a much nicer neighborhood. It is an impressive facility. I always wished that Vancouver has a museum like this. You know, Vancouver cannot claim to be a world class city without a museum like this. The building is actually a legacy from the 1893 World’s Columbian Expo. There was quite a crowd already. After all, it was a Sunday and people are bringing their families out for a day in the museum. 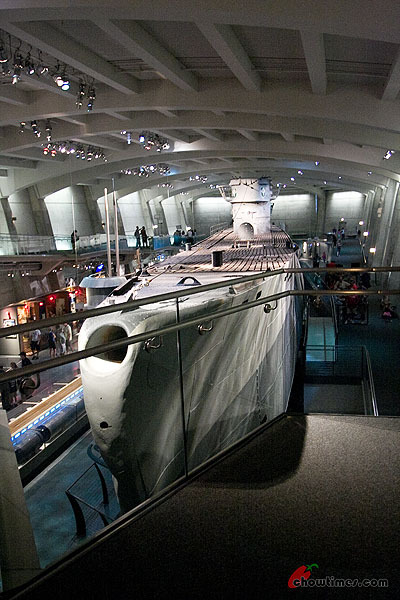 The one thing I wanted to visit is the German Submarine exhibition. 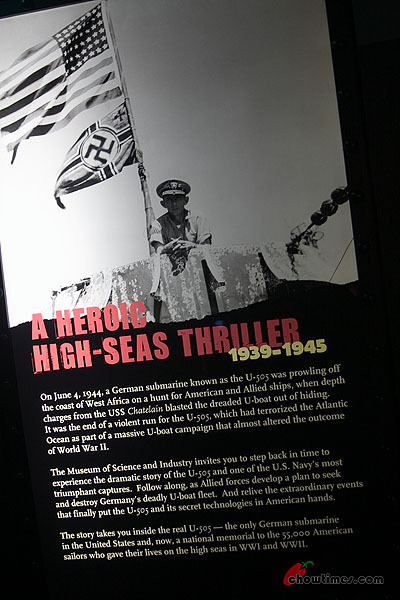 The exhibit is centered around a real German submarine captured by the Americans during the World War II. 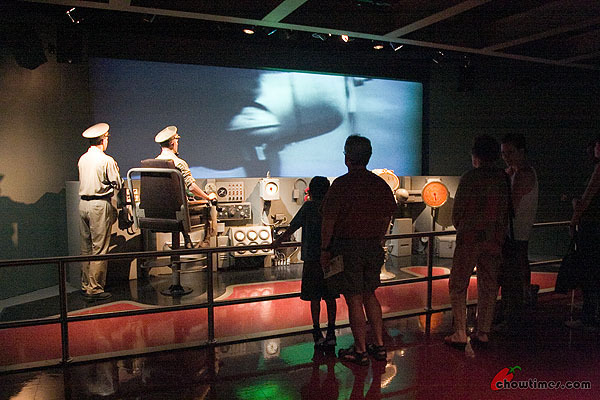 The exhibit chronicles the hunt and capture of the U-505 submarine. And then lo and behold. Walking into the pit made especially for the submarine, it came across to me as one of the most menacing sights I have ever seen. It felt like walking into a James Bond movie. After the visit to the John Hancock Center, it was time to get a bite. A real bite. Enough of popcorns no matter how good they are. 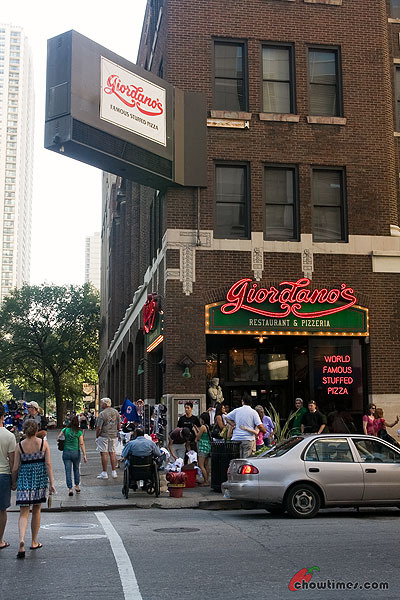 So I walked a few short blocks south to Giordano’s Pizzeria. 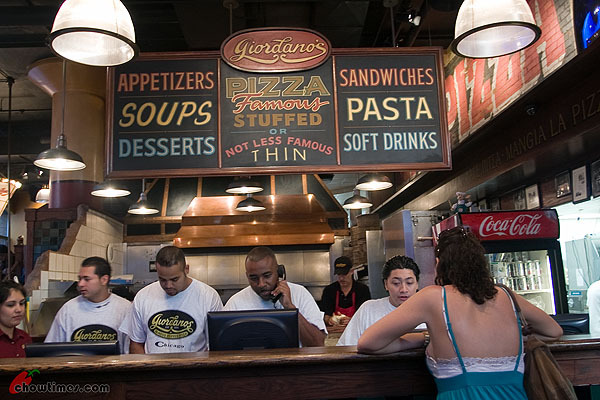 Giordano’s Pizzeria is famous for their Stuffed Pizza. For a while I was confused over Deep Dish Pizza and Stuffed Pizza — just the same thing with a different name. My friends insisted they are different and I gotta try both. Ordering was an intimidating affair. I was not familiar with the menu and the folks who took the order were taking orders very fast. They did not seem like the type who will spend time explaining the menu to me. This is Chicago, this is not Vancouver. Whether you are eating in or having it to go, you order from the same counter. There were just a lot of people milling around the area either waiting for their to go order or for a table. So the timid Ben stood back in a safe distance and take his own sweet time to try to decide what he wanted. The first item on the menu is usually their best selling item but it’s only cheese. It was cheese, cheese, cheese, and cheese options on top. Then it was the “Special”. Hmmm … OK maybe the special. I was thinking the Spinach would be nice because it does take away the sourness in the tomato sauce. Shrimp would be great too as it will be sweeter. Tropic Delight … oh, it was hard to decide. Vegi — out of the question for a sworn meatatarian like me. I finally decided to go with the “Special” simply because it is the priciest … and hence fully loaded. I had planned to spend the rest of the morning walking the Magnificent Mile. It turned out to be not a a great idea because it was quite deserted on a weekend morning. All the shops were closed. At least it gave me the chance to casually stroll the street and taking the rare pictures of a deserted street. 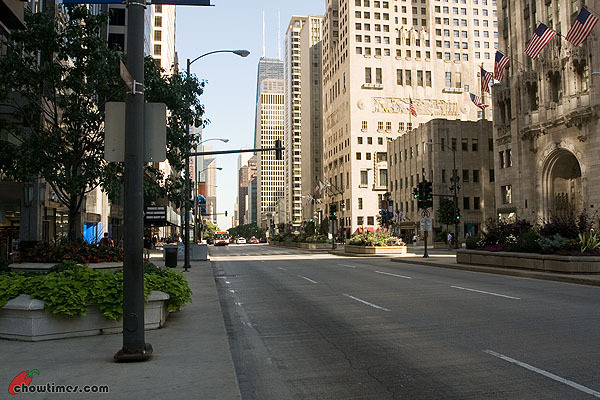 The Magnificent Mile is the name given to the section of the Michigan Avenue. This is Chicago’s elite shopping street, very much like our very own Robson Street except much bigger. You can get almost any luxury brands here. In the later part of the day when the shops opened, I went to the Apple store. He he he … let me tell you a trick. If you want to make a long distance call for free, go to the Apple Store and use one of the demo iPhones. I was surprised that it worked when I called home to Vancouver. 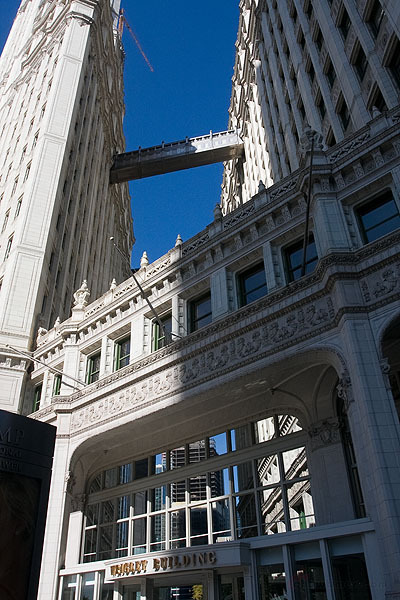 At the south end of the Magnificent Mile is the Wrigley Building. 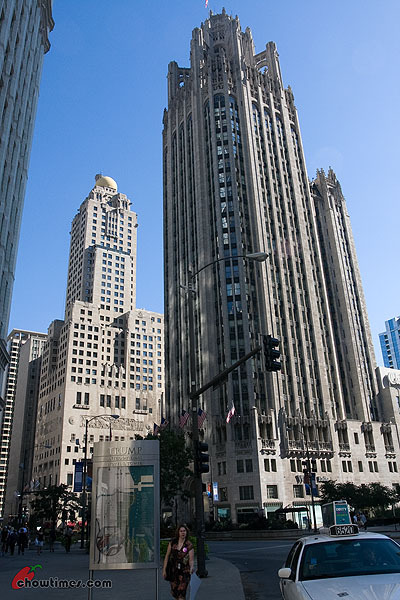 This is the HQ of the Wrigley Company who not only makes chewing gums but also carries brands like Altoids, Lifesavers, and Skittles. They own a lot of chewing gum brands, not just Wrigley. Next time you buy a pack a gum, read it carefully and you will probably find that it’s made by the Wrigley Company. The Wrigley is an iconic building in Chicago having one of the best site for a corporate building. 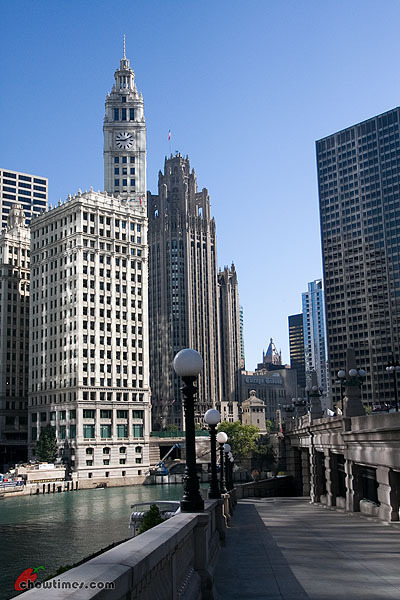 Fronting the busy intersection of the Chicago River and Michigan Avenue, this building is built in the likeness of the Giralda Tower in Seville’s Cathedral. Suanne and I was in Seville just last summer (see the post of the Seville cathedral here, the tomb of Christopher Columbus). The Water Tower is dwarfed amidst all the tall buildings around. 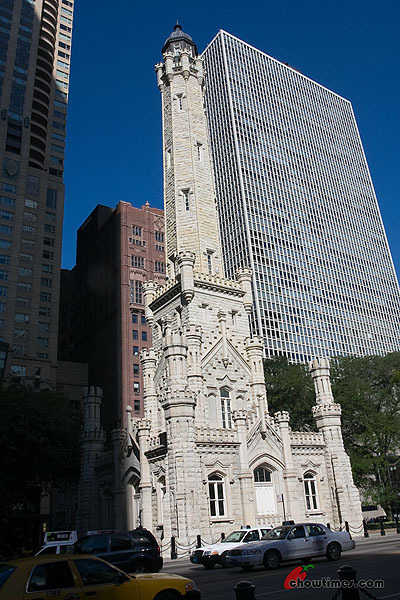 However, this tower is the only building that survived the Great Chicago Fire of 1871. 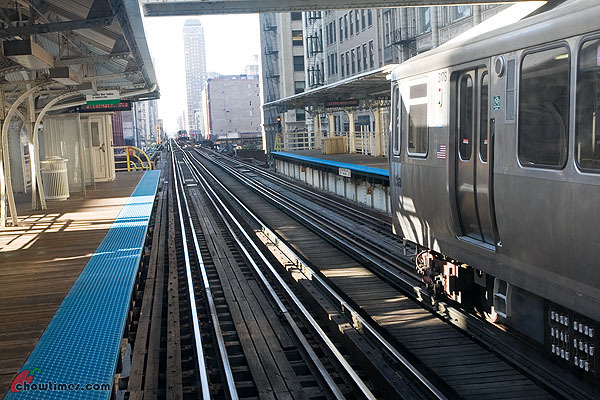 Today, it symbolizes the old Chicago while the rest of the city around it is newly built. 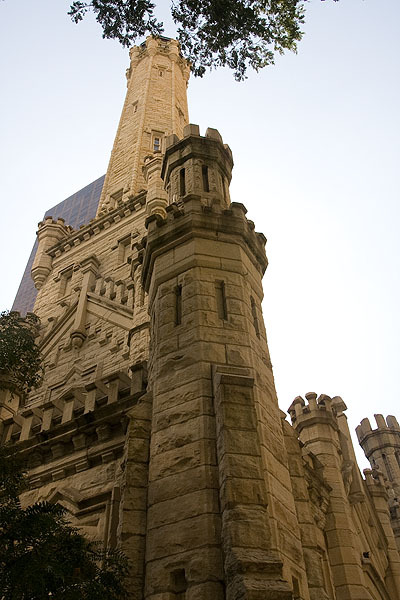 If not for the Great Chicago Fire which sparked a massive rebuilding of the city, perhaps Chicago would not be as well known for its skyscrapers and architecture that we know of today. See that white building with the words Water Tower Place? Behind it is a skyscraper. Oprah Winfrey stays there. This ugly boxy looking building shouts luxury — luxury hotel, luxury apartments, luxury shops, luxury everything. 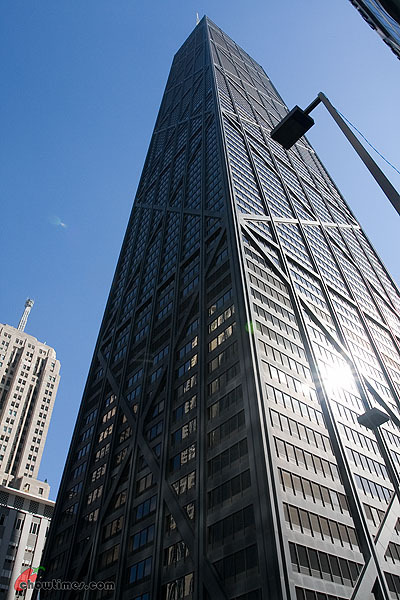 The highlight of the morning is to visit the John Hancock Center. I wanted to visit one skyscraper and had been debating with myself between the Sears Tower (one of world’s tallest) or the John Hancock Center (better views). 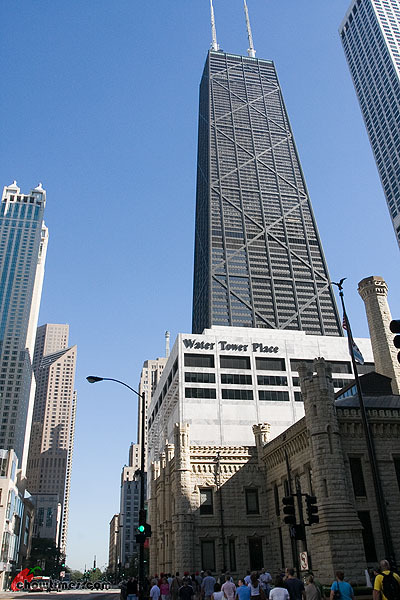 Almost everyone I asked tells me that while Sears Tower is cooler to visit, it is the John Hancock Center that will be more interesting. From the outside the building does not seem like it is that tall. Not especially when compared to the imposing Sears Tower. But the John Hancock Center is 100 stories high. You gotta let it go at some point and move on. I know it’s hard being soundly thrashed by the same Chicago Blackhawks for the second time in as many years. But who are you gonna support in the Stanley Cup finals? I tell you you should just throw all your support behind the Blackhawks. With 5 players on the team from BC and 20 Canadians in all, the Blackhawks is as much a home team as the Canucks is. LOL! 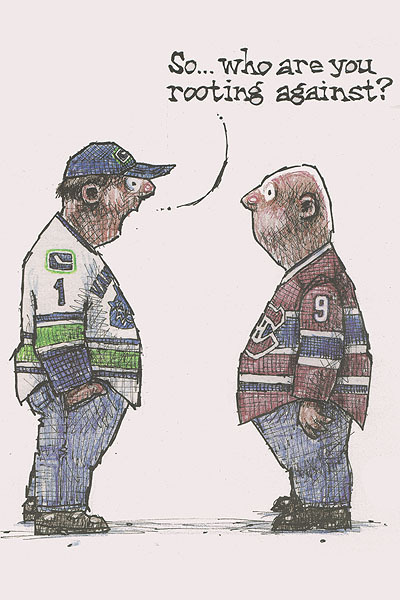 I got to pacify the disappointed Canucks fans before I re-embark on writing about my Chicago city series. This was the second day in Chicago. I had not gotten online for more than 24 hours. It is because I did not want to pay the $17 (a day!) for the internet in the hotel room. 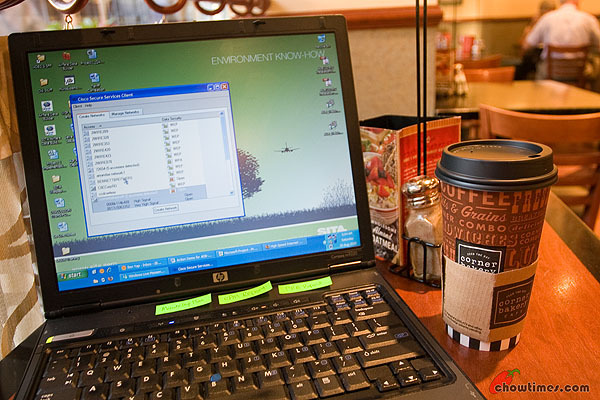 So, I woke up early and went to the corner cafe where I knew there is free wifi. Oh joy, it was great to be online again. I planned to spend a lot of time here. Well, I wanted to spend as much time until the battery on my notebook ran out. This notebook was at the last leg of its life and I am having keys coming off. The battery … well … it lasted only 45 minutes. It wasn’t fun having to look at the battery indicator like every minute and have it turning more red by the minute and starting blinking at me. So, I just ordered a coffee for now and not want to waste time ordering breakfast and eating it. 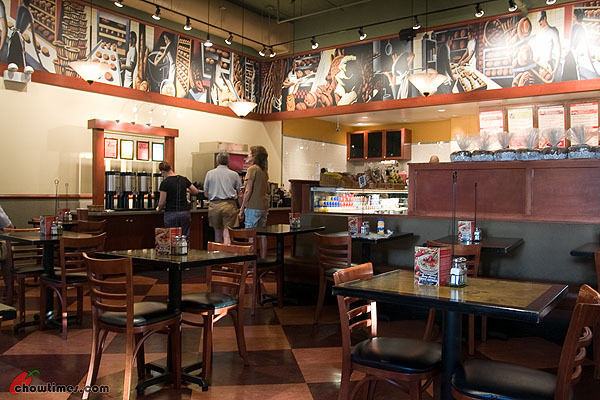 The Corner Bakery Cafe was where I had my breakfast. This is apparently a franchise but they are not anywhere near this side of the world. I like the setting. The place was slow early in the morning and that gave me the peace to work. It soon filled up very fast shortly after. 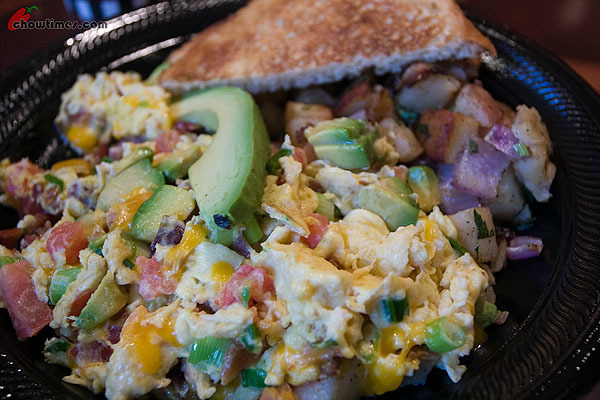 I can’t remember what it is that I ordered but I remember thinking this is one of the most delicious breakfast I had in a chain bakery. It actually felt healthy eating this. I just love the big slices of avacado and raw red onions. After the breakfast, I went back to the hotel room to leave the notebook. I don’t want to carry the notebook around, do you? I took the “L” and headed a few blocks north. 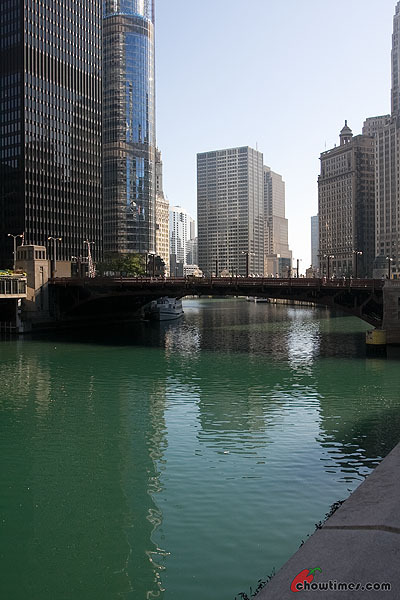 I wanted to start the day doing the Chicago Riverwalk. 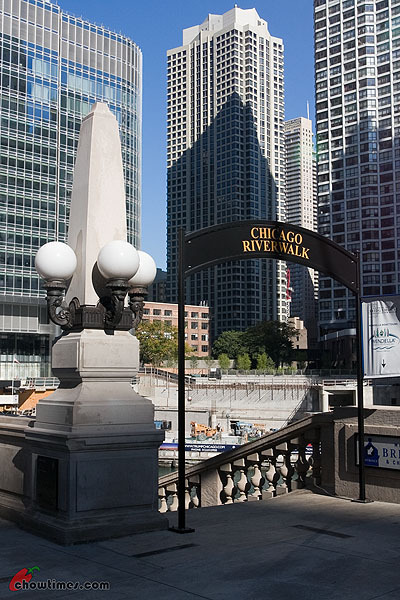 The Chicago Riverwalk is over a 1 km stretch along the south bank of the Chicago River. 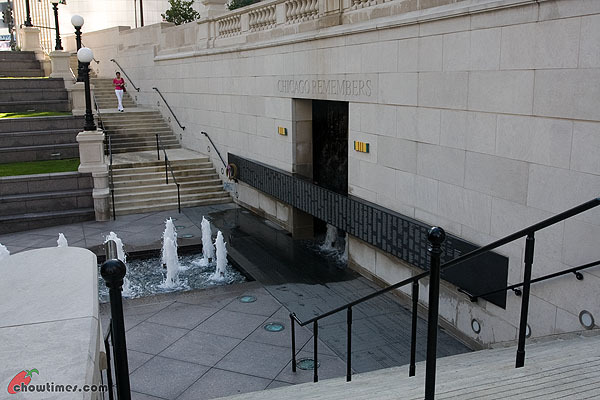 This is meant to be a “second shoreline” of Chicago where there are walkways which is lined with places for recreation and reflection, a place where office workers and families can relax, and a great place to get a bite to eat. It is really hard not to love the Chicago River. Yeah it is all concrete, nothing natural about it but still. I earlier did mention that the current flow of the river is reversed, remember that? It used to be a huge sewage dump flowing into the Michigan Lake but now … it flows from the lake inland. Suanne and I had such a wonderful time last week that I decided to write about this blog post out of sequence. LotusRapper alerted us to this event in Chinatown that truly intrigues me. As you know, I had been doing a lot of research on Chinese cuisines through the Eight Great Traditions of Chinese Cuisine (8GTCC) project. While the 8GTCC project deals with the tradition Chinese cuisines, I was really convinced that outside of the traditional cuisine, there lies a a lot of branches of Chinese cuisines that needs to be legitimately called Chinese cuisines for what it is worth. 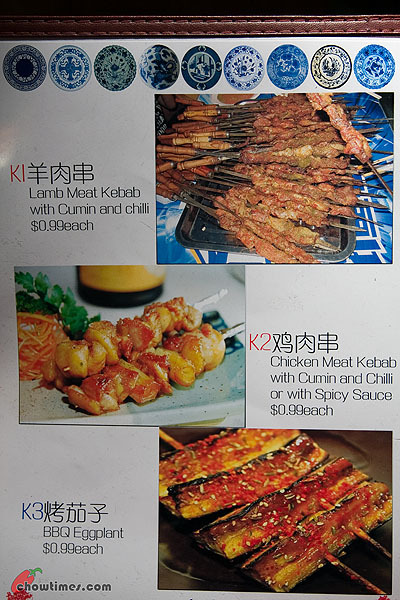 For instance, the Chinese cooking in Malaysia and Singapore presents dishes that you will never find in China (eg. bah kut teh, laksa) and yet it uses the same common cooking techniques. 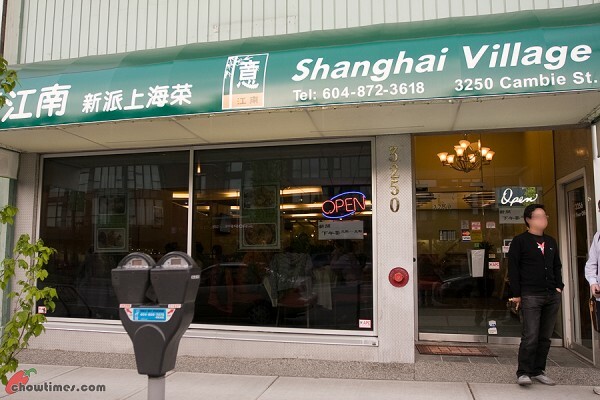 There is also a branch of Indian Chinese cuisine of which there are a few restaurants around Metro Vancouver. And then there is the North American Chinese cuisine with its fortune cookies, General Tso chicken, chop suey, egg foo yong, ginger beef, just to name a few. I would assume that the Chinese in China would not recognize such foreign created cuisines as Chinese cuisine. But I think we should recognize them as distinct branches of Chinese cuisine which had adapted to the local environment over the generations. Foo’s Ho Ho is one restaurant that Suanne and I had always wanted to visit. It is always low on the priority list when there are so many great restaurants around the city. We only wanted to go to Foo’s Ho Ho not for its food but for the nostalgic, historical aspect. So when the event presents itself, we instantly called to sign up. It was a very educational night for me. I was surprised to find out that Foo’s Ho Ho is that big with two dining halls split over two floors. The event was well attended too. There has to be at least 100 people who attended this event organized by the Friends of Foo’s Ho Ho. The Friends of Foo’s Ho Ho is a group of committed people who aims to support the iconic Foo’s Ho Ho restaurant when it fell on bad times after the passing away of the owner last year. Last September, this restaurant was on the verge of closing down and people come together to form a Foo’s Ho Ho society to raise fund through such community dinners to help to revive it and make history comes alive. You may click on the image to get a larger, more readable version. In those hey days, there were actually two separate competing restaurants on the same street. There was the Foo’s and the Ho Ho. 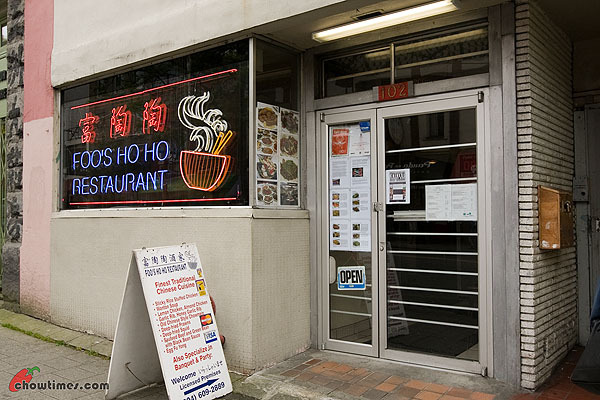 Foo’s and Ho Ho had to merge to survive and so today we have Foo’s Ho Ho. Foo’s Ho Ho has seen better days. I was remarking to Suanne that we don’t see a lot of the platings of these design anymore. I am guessing it might not be easy to replace them once they break. Foo’s Ho Ho started in 1955. 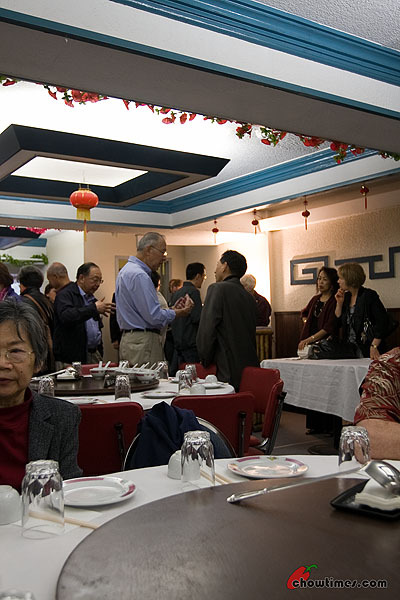 In those days, it was the grandest of Chinese restaurant in Vancouver. This is where people would host wedding dinners. It is perhaps like the Kirin and Sun Sui Wah of today. So it holds a lot of nostalgic value to the “Lo Wah Kiu” … the old-school Overseas Chinese. Suanne and I felt out of place to tell the truth. A lot of people who attended this event is “Lo Wah Kiu”. We were seated next to some elderly ladies who so proudly professed that they are old-school. We had some nice chat but the event got started. We would have loved to hear the stories of their lives in Chinatown of their younger days. Yeah, everyone seems to know each other except us. But despite that we enjoyed that night and soaked in the nostalgic stories narrated by various people throughout the program-filled night. The Friends of Foo’s Ho Ho put up these community meals and events once a month. For the night, the theme was Chinese Laundry Kids with stories from real laundry kids growing up in North America. They managed to invite two authors of Chinese history books. The event started off with an old video on Chinatown and the Chinese laundry business called the Eight Pound Livelihood (the 8lb refers to the weight of the irons used in those days). The first speaker of the night was Elwin Xie who shared his experience growing up in the Union Laundry in Vancouver. I hope I am not boring you but there are food further down this blog post. There are two other speakers who graced the event. John Jung, Professor Emeritus, Psychology, UCLA, from Georgia wrote a book on Chinese Laundries and spoke of his experience growing up in a Chinese laundry and of his research on a follow-up book on Chinese groceries and Chinese restaurant. There was also a book reading by Judy Fong Bates, a former teacher, who wrote her short stories series of books on the Chinese culture in North America. One of her books, the Midnight at the Dragon Cafe, was selected as the book to read in city of Oregon recently. This is an eight-course dinner for $30. The menu is based on what is called village style cooking. This is old school Americanized Chinese food which you don’t find a lot of anymore. Some of the dishes are reminiscent of what my mum used to cook at home when I was young. Updated: 27th February 2011: this restaurant is closed according to Urbanspoon.com. While all the chowtimes readers who attended paid token sum of $5 each for this meal, Suanne and I did not have to pay for the food. 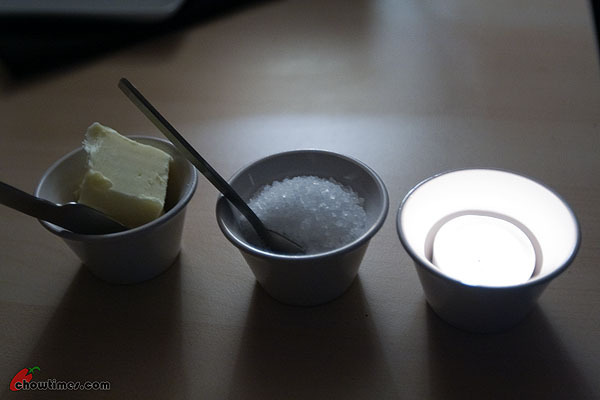 This had to be one of the simplest blog post I had to put up for a long time. Well, this is because this is written largely by chowtimes readers! When we put up the invitation to chowtimes readers to attend an exclusive Ramen Tasting event, there were requests for 115 seats! The response was overwhelming. Unfortunately the restaurant could only cater for 34 people. 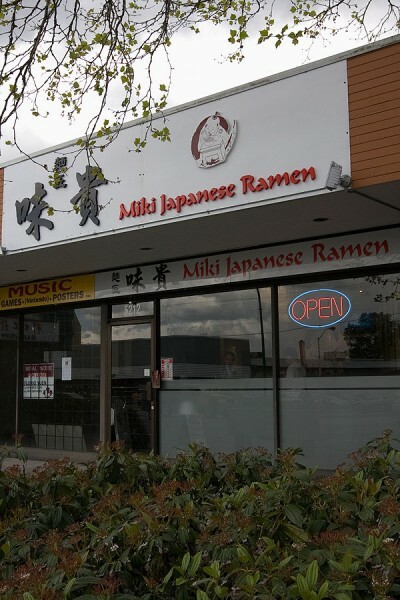 The Miki Japanese Ramen is a restaurant located on Kingsway and Royal Oak in Burnaby. It is run by Ben and Karen, a young husband and wife team, who were trying to put the word out of their newish restaurant. Every now and then, Suanne and I receive requests from restaurant owners to help them promote an event. Miki had a Ramen Slurping event which was covered on TV. One thing led to another, Miki agreed to put up an exclusive ramen tasting event for chowtimes readers. We jumped into this because we thought it would be something our readers would like and that we get the chance to meet them too. While the food was just OK, we had a great time. Ed and Darryl proved to be the life wire of the event with their fun but meaningless banter across the table (thanks guys for providing the entertainment!). Rice congee (pronounced /ˈkɒndʒiː/) is a type of rice porridge that is eaten in many Asian countries. The word congee is possibly derived from the Dravidian language Tamil word கஞ்சி kanji. The Sinhalese word is Kanda. Thank you all for taking the time to come out for this event. Suanne and I hope you had a great time as much as we did. I have one more such restaurant-proposed event up my sleeve and was wondering if we should continue to organize. My hesitation here is that for such “restaurant-driven” event, I cannot assure the quality of the food or restaurant. These are events where restaurants wanted to promote their restaurant … and in exchange, they give chowtimes readers an exclusive use of the restaurant and a heavily discounted meal (i.e. for this event in Miki, it was just a token $5 for a $21 meal). Please let me know … do you think we should continue to organize it? Please note again, I am referring to “restaurant-driven” events here; not events like 8GTCC. I remember that The Swallow Tail was just around the corner from this one little restaurant that had gathered some legendary tales the past couple of weeks. 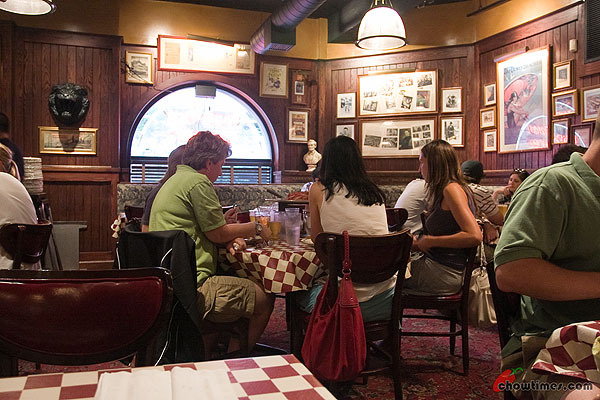 Legend has it that one particular chowhound stumbled upon this restaurant and he liked it so much that he spent SIX hours in the restaurant. When I heard that for the first time, I thought … hmmm … maybe he was drunk or something. Then the mystery deepens when I read that these 6 hour meals went on for consecutive days. That, my friends … and as one other chowhound said … is COMMITMENT. There were so many tales that I read over the week or so that I really-really-really wanted to see for myself what it is all really-really about. So Suanne and I drove over to Nine Dishes. 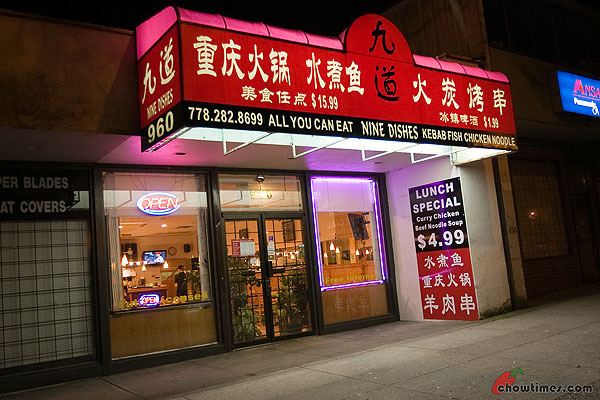 This restaurant is located on Kingsway, south-side, midway between Fraser and Knight. It’s easy to locate because the red and black awning is new and bright. Before I went there, I was thinking this place is dark, dank and dirty. You know, places where Chinese bachelors hang out drinking, smoking and telling dirty jokes. That sort of places. Don’t blame me. All these images were from what I read from the accounts of the chowhounds. I was kind of worried too if this is an improper place for Suanne. It was about 11PM already when we were there. It was none of that stuff. 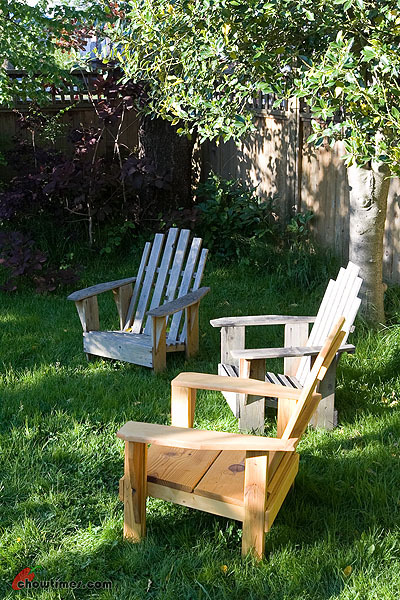 Instead, the place was bright, clean and even pleasant. It was in no way rowdy at all. And it does have that nice smell of BBQ lamb and cumin in the restaurant. You see, things are not always like what you read. However, there are a few tables that are left uncleaned. That is understandable knowing what I know. This is because the restaurant is run by this guy with a real fancy name. “If” is his name. He is quite a character. I find he is someone people will take an instant liking to. Legend has it that he is pretty savvy with dirty jokes too. “If” dropped off the menu on our table with hot tea. I sort of felt like I knew him already. So, I took the chance to tell him how much I heard about his restaurant and that I know his “6-hour customers” personally. That broke the ice instantly. He went philosophical and told me how he makes this restaurant different from others. And then he was starting to talk about pretty girls and for a moment he was about to go into that “area” … until his eyes strayed looking at Suanne and stopped abruptly. He he he … the prim and proper Suanne must have given him that “don’t go there” look. The reason why this restaurant is called Nine Dish is because, well, the menu has nine dishes. What a simple idea. Such simplicity. And the prices are awfully cheap too. The BBQ skewers are just 99 cents. 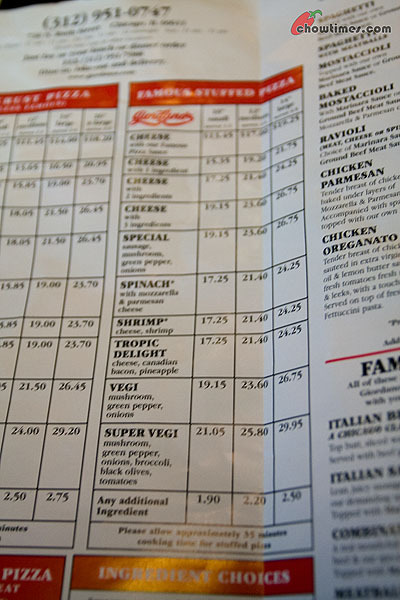 Looking over the menu and scanning around the restaurant, I can so easily understand how that 6-hour sessions came about. The place is casual and “If” encourages you to take your own time. He doesn’t care if you order just four skewers at a time. For instance too … his beer is just $2.50 a bottle. The lunch special (see the sign on the 1st pix of this post) says that the beef noodle soup and curry chicken is just $4.99 only. “If” gave us a a book of order form and a pencil asking us to write down the order ourselves. 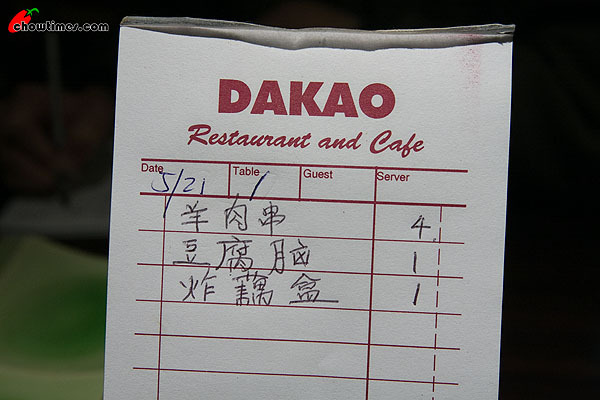 So, I said we’ll write down the codes indicated by the side of each dish (like K1, K2, K3, etc) on the menu. “If” would have none of it! The nerve of him. He said he wants us to write down the Chinese names and not the codes because he said “it takes time for me to translate it for the kitchen”. LOL! I left it to Suanne to copy down the strokes of the words. Took a while but Suanne did a pretty good job of it, don’t you think? The Lamb Kebab with Cumin and Chili was a steal at 99 cents each. We ordered just four. 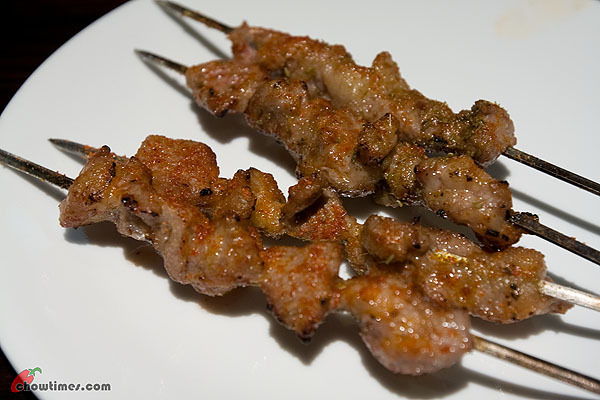 It was served on metal skewers. Secret Supper Club or Underground Kitchen. These are some of the names that describes the popular private eating places that operates behind secret addresses, often in the homes of the chef. It offers a very unique experience quite unlike in a restaurant. The whole mystery of the unknown and being in a somewhat exclusive private party appeals a lot to those foodies who had seen them all. My first experience of dining in an underground kitchen is at “12B”. I actually dined there twice. The first was when I was invited by the local Chowhounds and then I followed up by organizing one for chowtimes’ readers. I enjoyed both experiences. Jonathan had been very active organizing such dinners for food bloggers. 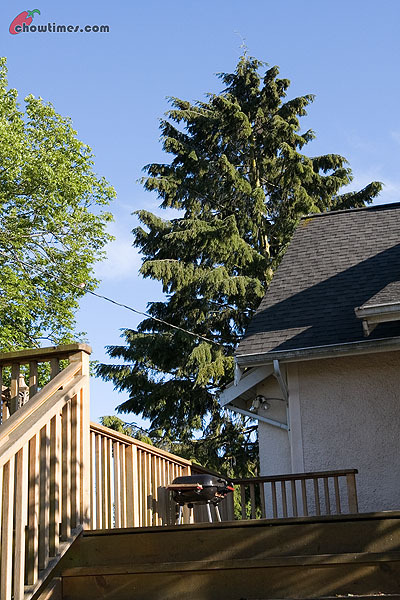 He earlier did one with an underground kitchen creatively called NFA, which stands for No Fixed Address. Suanne and I couldn’t make it for that one. When Jonathan (who writes on the blog Food and Tell) organized a subsequent one to Swallow Tail, Suanne and I signed up not wanting to miss this one. We met on a nice afternoon. Jonathan could not have picked a better day. I could have swore he ordered the sunshine for us too. Having only experienced 12B, I like the start here. Meeting on the deck and soaking in the sun (although it was slightly chilly that day), it was just perfect to start the evening. The deck wasn’t really big enough to fit all of us. So it was quite a squeeze. Let me think … I think EVERYONE was armed with a camera. I certainly remember there were lots of black SLRs poking at the very sight of food. Between us, we can do that without shame. LOL! I always think it is a spectacle for those of you who had never dined with a group of food bloggers. Yeah, admittedly we are not exactly the most well behaved. However, you must understand that we are working here. I hope I don’t forget anyone. The bloggers who attended the event are Jonathan, Victoria, Mijune, Joyce, Frank, Anita, Kim, Sherman, Jenny and R.
The Swallow Tail Secret Supper Club does not seem very much of a secret club because they have a website and if you look, you can find their address. 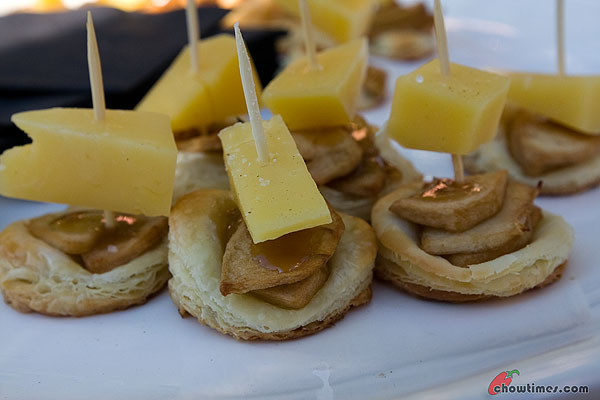 The first course, the amuse-bouche, was served in the backyard. He he he … the cameras were already firing away even before it is set on the table. After a while we were ushered into the house and down to the cellar. 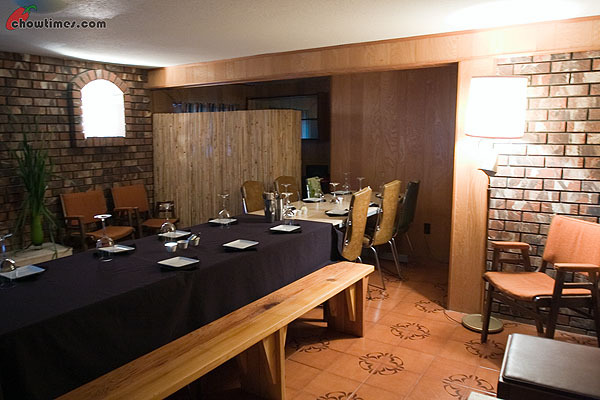 The dining room was cool and dark … very much like an underground supper club in every sense of the word. I was thinking how different Swallow Tail is compared with 12B. In 12B, we could pop into Chef Tood’s kitchen and see him work. Here in Swallow Tail, we dine in the confines of a private dining setting. The person behind Swallow Tail is known as Chef Robin. She hold such dinners about twice a week. I understand that she also conducts culinary tours. The dinner at Swallow Tail costs $50 per person and has five courses (including the amuse-bouche above). While Chef Robin did say that the dinner stretched over 3 hours and she encourages a break in the middle, we actually ate through the courses without much of a break. With an almost growling stomach and seeing butter on the table, I thought … OK, goodie, bread. Guess not. Anyway, Chef Robin says that she likes to use wild, seasonal, BC, organic produce with a passion for crab and wild mushrooms. It was one of those weekdays that I needed to get away from the office just to clear my head even though it is just for an hour or two. Good thing I had the camera with me that morning having left the camera in the car the night before. So I thought I just drive and look for a place to have a nice solitary lunch and blog about it. I found a quiet little corner Vietnamese restaurant which name looked familiar. I vaguely recall coming across this name at some point before but I was not too sure. It looked authentic from the wordings with diacritical mark on the sign and sandwich board. Well, as long as I can’t read what they serve, it is worth the adventure of checking it out. 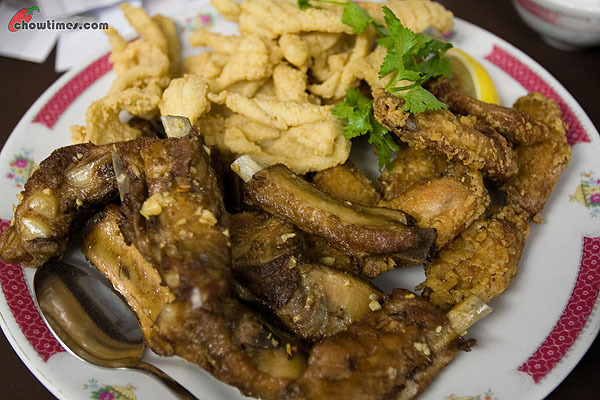 Truong Thanh is very much a hole-in-the-wall … very homey and very much a neighborhood kind of a restaurant. The customers seem like they know the restaurant owners personally judging by the way they greeted and talked with each other. 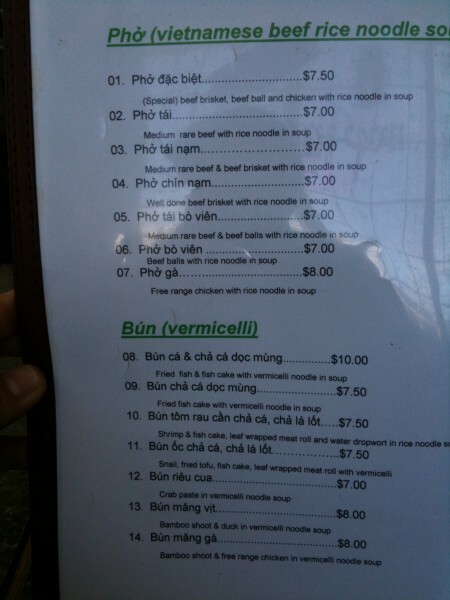 I was the only one in the restaurant that day who doesn’t speak Vietnamese. The service was warm and personal. There was the usual tea and menu promptly served the moment I sat down. 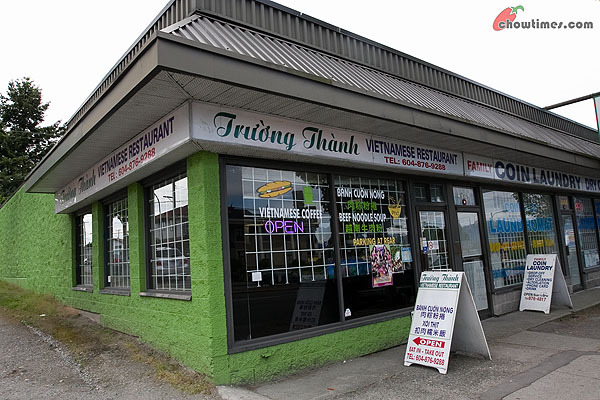 Truong Thanh has the usual pho items on their menu. Even though I had not had pho for a very long time, I am not about to order that. I was looking for something different, just not pho. My eyes were on the one item that is the most expensive on the menu. It is $10 while the other items were just $7-$8. That looked perfect because it has fish cake, fried fish on fish soup — all fish. 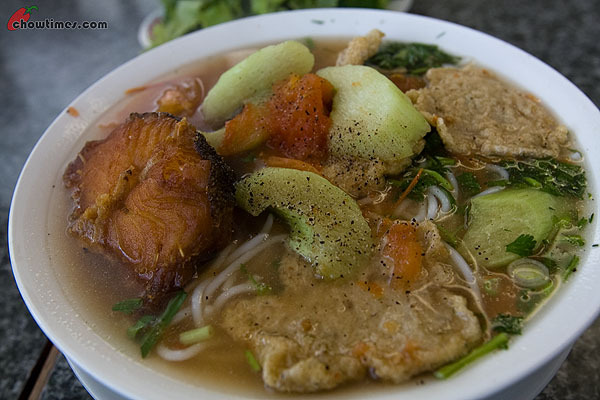 So this is like the fish version of the pho which is made up of beef parts and beef soup. I don’t see a lot of places that serves green papaya pickles (top picture). 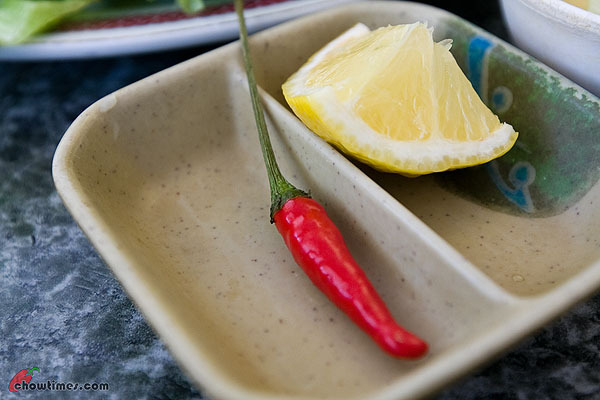 I like that for its crunchiness and sourness — great for whipping up an appetite. 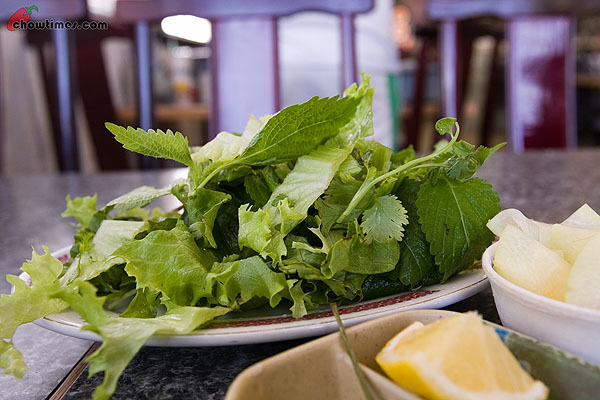 The green herbs and lettuce is also something I appreciate over the usual bean sprouts. Update 17-April-2011: This restaurant is now closed. 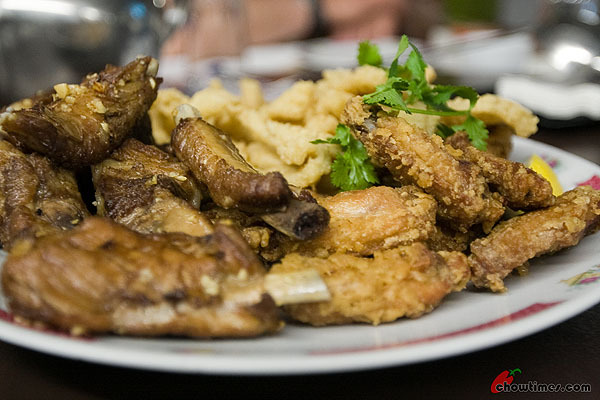 Dylan made sure that the Jiangsu cuisine is one that everyone will never forget. He had set a standard so high that it will make it more difficult for future dinners in the Eight Great Traditions of Chinese Cuisine (8GTCC) series to measure up to. Last week was the second in the series of the discovery of the 8GTCC cuisine dinners. It was based on a cuisine that I had very little knowledge of. Dylan and the rest of the 8GTCC team did a lot of research and provided input that produced an excellent introduction to the Jiangsu cuisine. During the course of the planning, I personally learned a lot about the people, the history, the province and finer points of the Jiangsu cuisine. 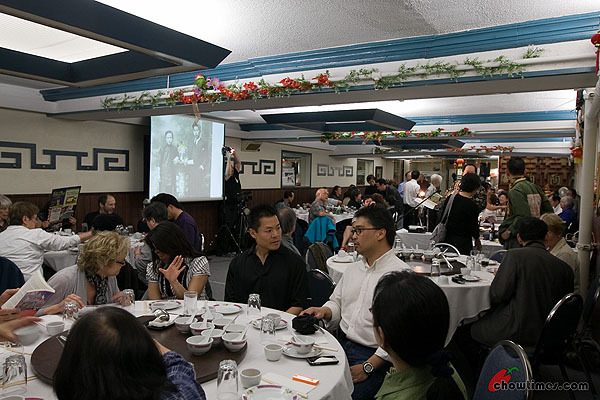 The dinner was held in the Shanghai Village restaurant. 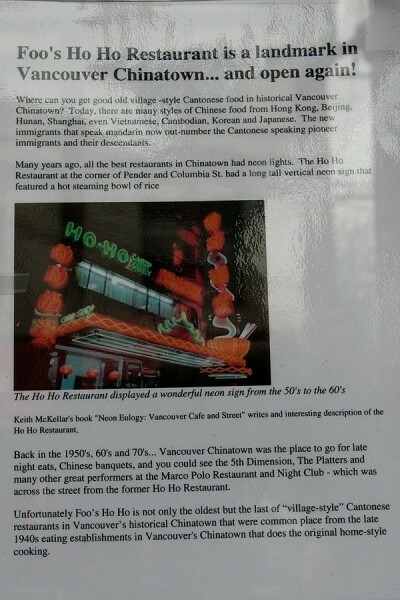 The restaurant is located on Cambie Street. When we started hashing the whole idea of the 8GTCC project, we were quite uncertain on how we could do the more obscure cuisines. 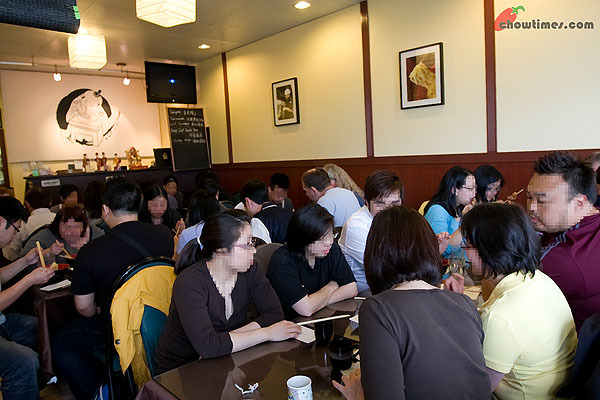 We knew it would be easy to do Cantonese, Sichuan and Hunan cuisines because these cuisines were so well represented in Metro Vancouver. It was only with the collective effort of the team that we managed to find a restaurant that could do Jiangsu cuisine. It was not easy. I mean who would have thought that a restaurant by the name of Shanghai Village would be the one? 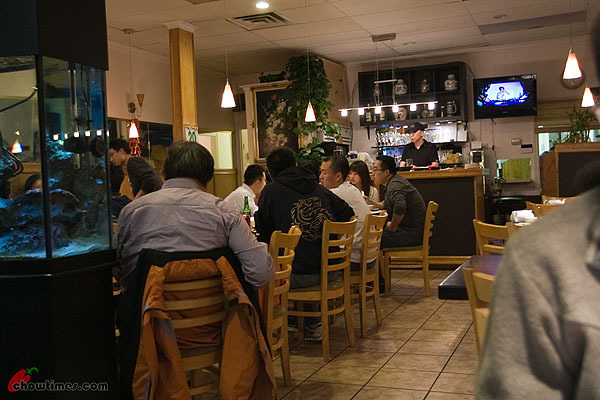 It was Sarah, a chowhound, who alerted the team that the chef behind Shanghai Village restaurant is from Nanjing, the capital of the province of Jiangsu. This dinner is dubbed 8GTCC Jiangsu. In all counts, this dinner surpasses the initial 8GTCC Hunan dinner in Alvin Garden. 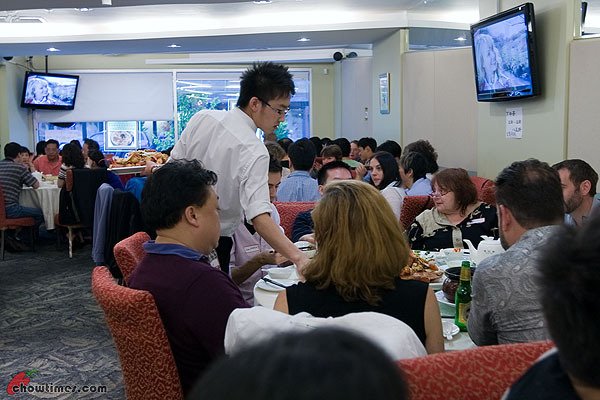 In the 8GTCC Hunan dinner, we had 52 people attending. In this dinner, we had 67 seats filled. We think that the number would have been higher if not for the fact that this dinner is more expensive ($36+tips per person) compared to the 8GTCC Hunan dinner ($20 rounded). But then we know we cannot compare just on the prices alone. For one, this dinner has an astounding 19 dishes(!). I can safely say that I had never had a dinner with so many dishes before in my life. The 8GTCC team debated on the number of dishes fearing that it would be too many. At the end, we all went ahead with 19 dishes, not wanted to cut any dishes from the initial shortlist. Moreover, in Dylan’s words, the 8GTCC Jiangsu dinner is a journey from the humble farm houses of Hunan to the palatial ancient Chinese capital of Jiangsu. This dinner is more refined with a number of seafood dishes of lobsters, crab, fish, and prawns. There are also complete servings of duck and chicken. Logistically, this dinner was a bit of a challenge when we found that the table arrangements were less than ideal. That called for some last second changes. Our dinner party was spread over 6 tables of various sizes and spread out through the length of the restaurant. That put paid to any pre-dinner speeches and all. I wanted so much to properly introduce all the people who worked so hard on this event (particularly Dylan). The dinner started off with two types of soup. Shanghai Village’s specialty is their soup. 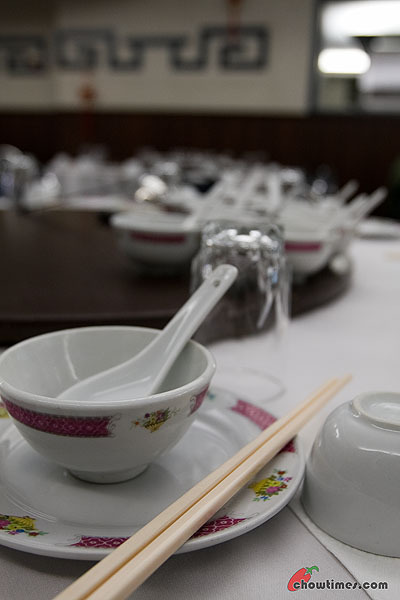 Their menu dedicates two full pages of their claypot soup and carries 35 different kind of soups. 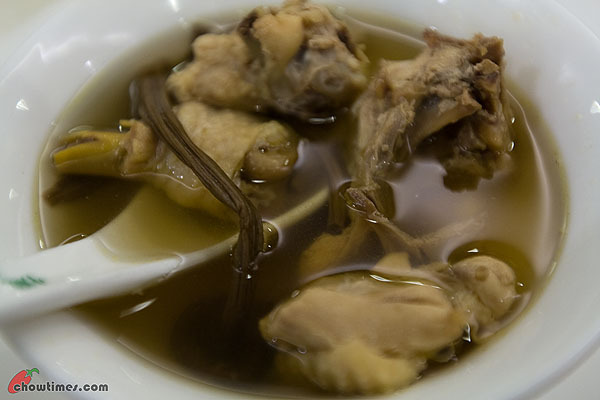 The two soups are Ribs with Lotus Roots (left) and Ranch chicken with Tea Tree Mushroom (right). 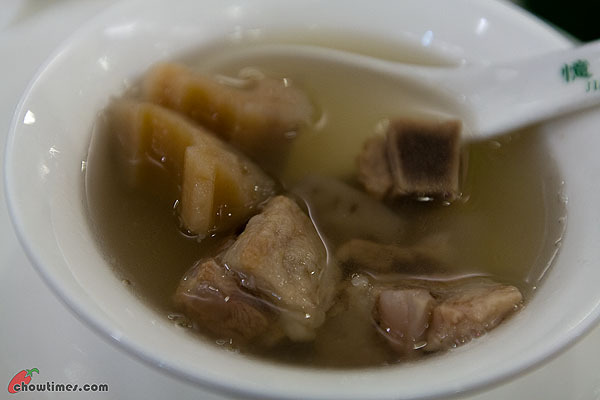 The soup are double boiled soup cooked in individual claypot. 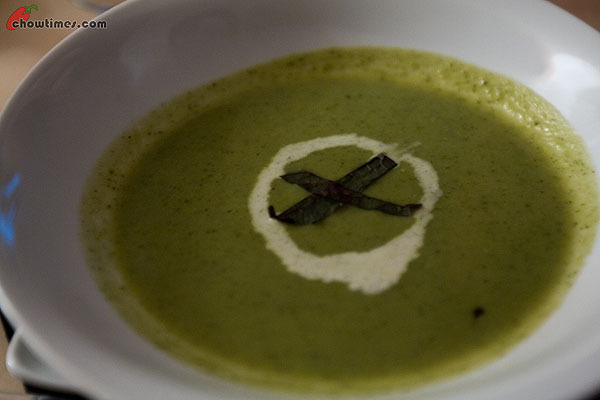 I like the Tea Tree Mushroom soup, particularly the medicinal mushroom which has a long stem with a woody smell. The Nanjing Salty Duck came next. 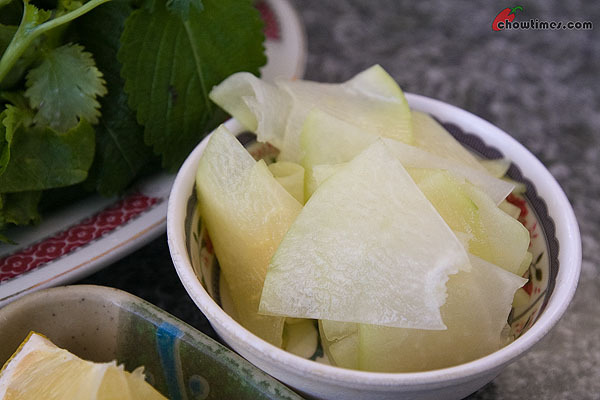 If there is one dish that associates most closely to Nanjing (the capital of Jiangsu), it is this. I was told that in Nanjing, you see this hanging from many city restaurant windows. 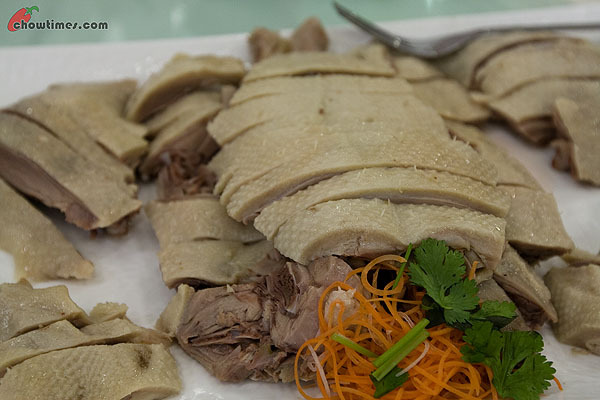 I had associated duck dishes with very lean dry meat with sharp bones. However, this Nanjing Salty Duck is very different. It is quite meaty and has a nice fatty layer under the skin. 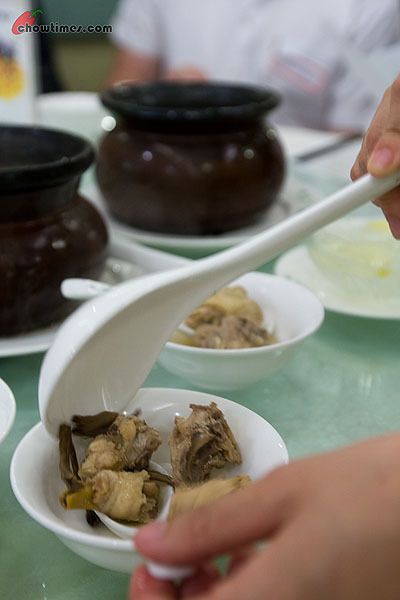 Served cold, the dish showcases the purest flavour and texture of the duck. Because this is such a classic dish, we had a full duck for each table. Next came the Cold Dishes platter. 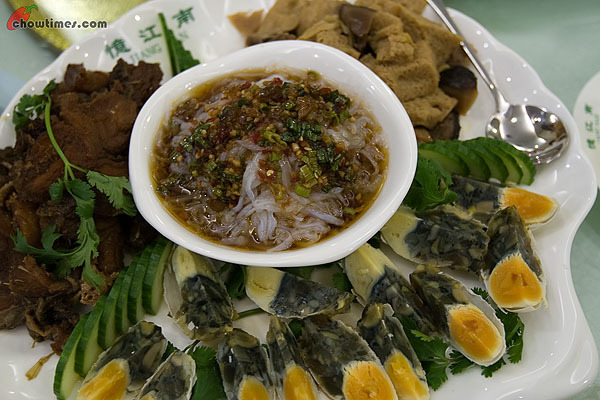 In the middle is the Qinhuai bean jelly — a cold dish of green bean jelly, named for the former pleasure district of Nanjing. On the top left is the Five Spice Smoked Fish. 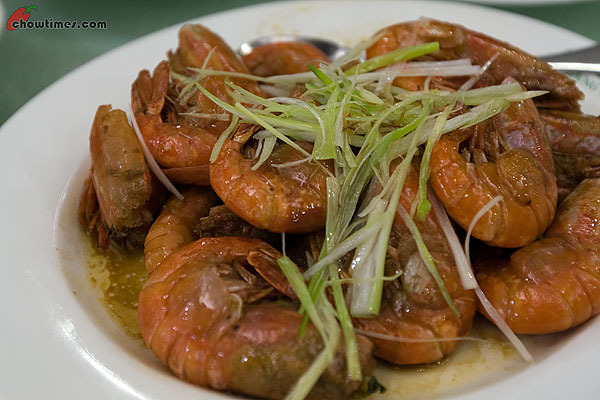 it is cooked in the red-braised style, flavored with anise, cloves, cassia, and dark soy sauce. On the top is the Preserved Beancurd which tasted pleasantly sweetish. I can’t recall this dish being planned but am not complaining if this is an addition. 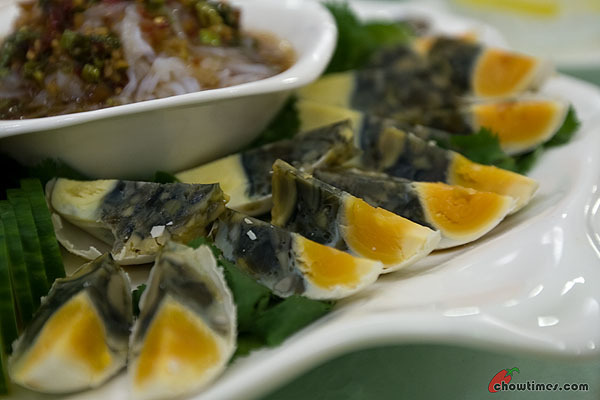 The Marbled Preserved Egg is not exactly a Jiangsu specialty. This is the creation of Chef Ming which captivates the attention of everyone. This dish is a playful take on a cold dish of preserved duck egg: a salted duck yolk and a century egg combined in one shell. Sorry for mentioning this but I felt it was funny that one of us actually ate the whole thing together with the egg shell. LOL! I understand. How is everyone to know right? This sort of things happens to the best of us and this is part of the learning of foreign cuisines. The next one was my favourite … the Soy Sauce Braised Spot Prawns. 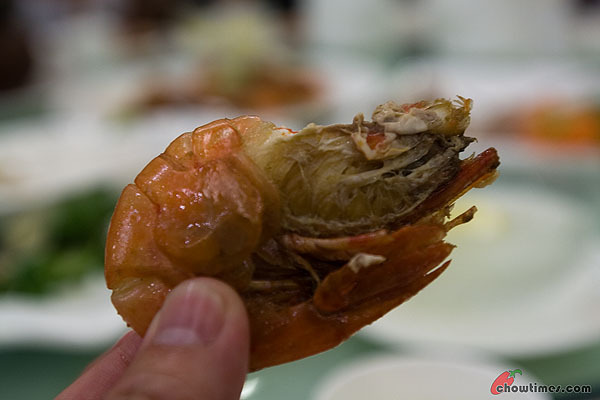 Taking the Jiangsu cuisine philosophy of eating what’s in season, Shanghai Village served the local prawns and had it cooked simply.